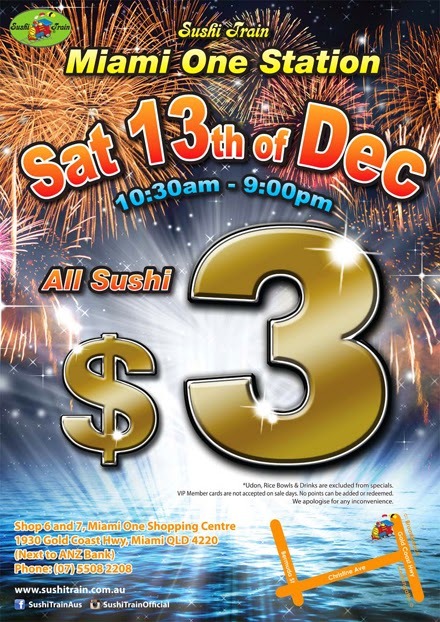 Sushi Train Miami One Station $3 Sale!! 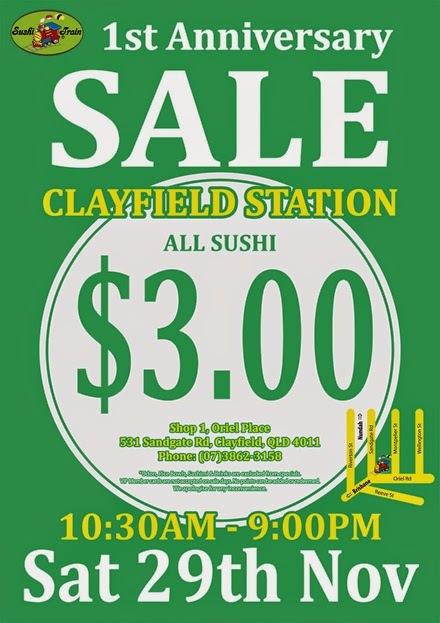 Sushi Train Clayfield Station 1st Anniversary $3 Sale!! 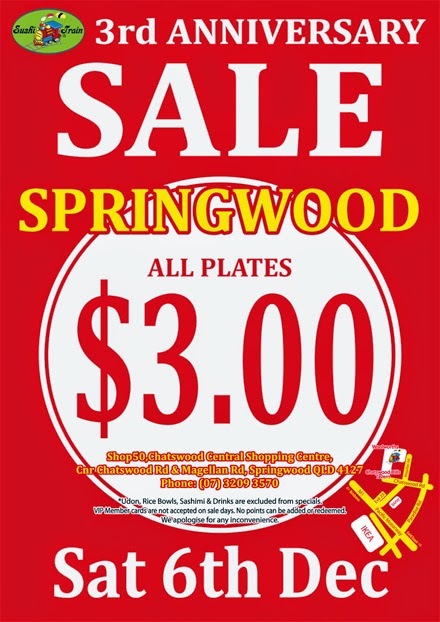 Sushi Train Springwood Station 3rd Anniversary $3 Sale!! 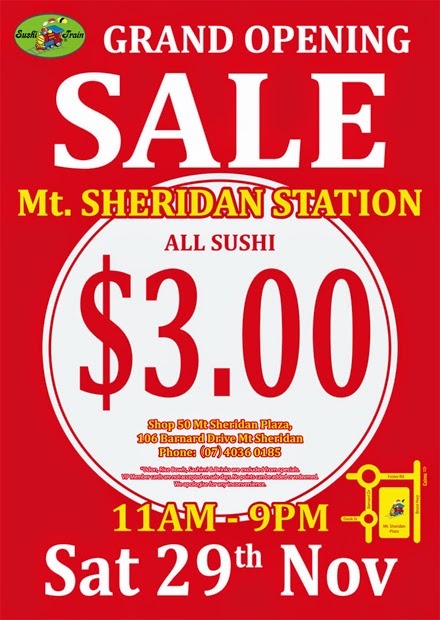 Sushi Train Mt.Sheridan Station Grand Opening $3 Sale!! 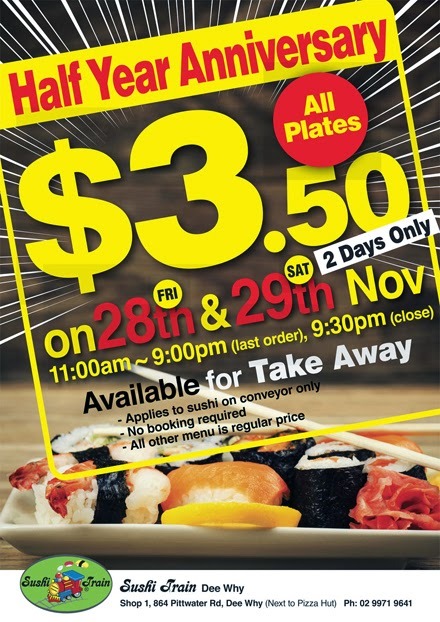 Sushi Train Cairns Central Station in Cairns will be closed from Fri 21st Nov 2014 to Wed 26th Nov 2014, due to the minor renovation. Applies to sushi on conveyor only. No booking required. 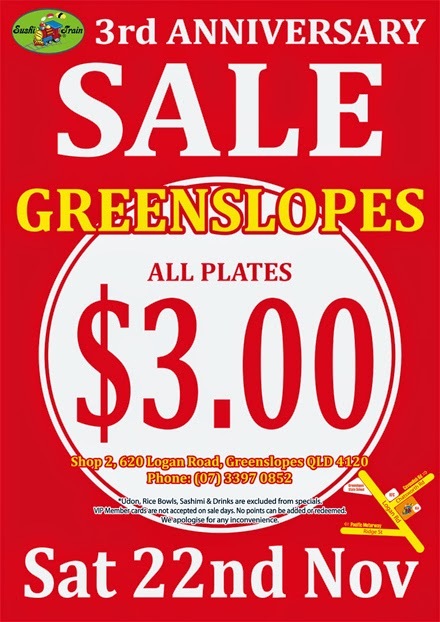 All other menu is regular price. 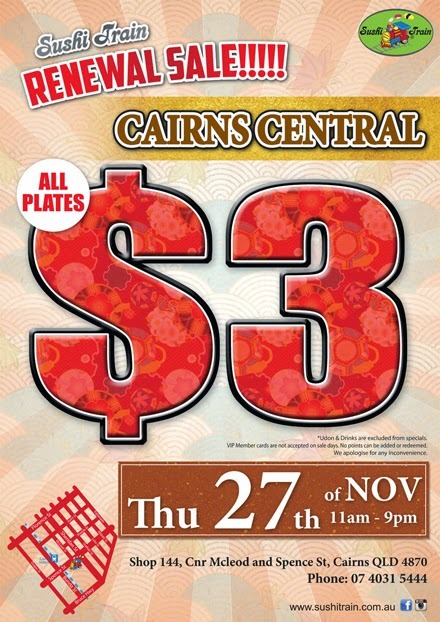 Sushi Train Cairns Central Station Renewal $3 Sale!! 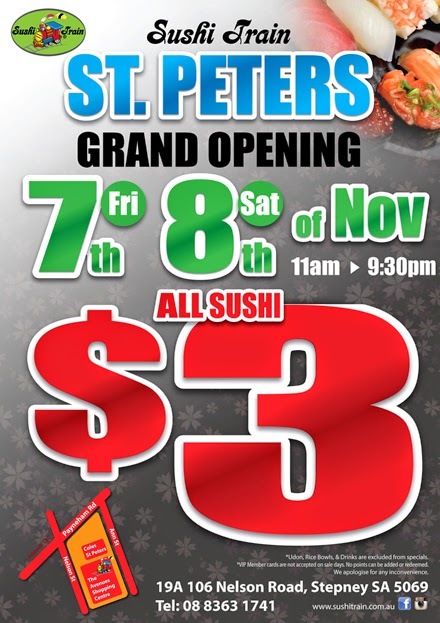 Sushi Train St.Peters Station Grand Opening $3 Sale! !